Children’s author, TV presenter and singer Alesha Dixon, has been named this year’s judge of the Explore Learning Writers’ Awards. The competition, now in its 11th year encourages children from across the UK to get their imaginations going and write a 500-word story in the hope that they will be selected by Alesha and the team at Explore Learning as their writer of the year! The winner will receive a trip to Disneyland Paris for their whole family as well as £500 worth of books for their school libraries AND a meet and greet with global super star, Alesha Dixon, who will surprise them at their school! The competition will be open for entry from Monday 11th March and Explore Learning will be running a number of FREE creative writing workshops with schools and libraries across the UK to inspire children to take part. The closing date of entry is Sunday 5th May and this year’s theme will be announced when the competition opens! Previous themes have been: Heroes, The Future and Around The World. 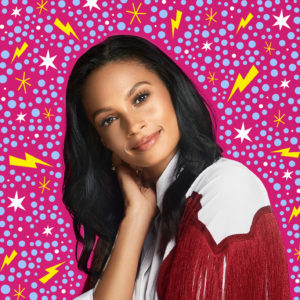 The multi-talented Alesha Dixon first found fame as part of Brit-nominated and MOBO Award-winning group Mis-teeq, which achieved two platinum albums and seven Top Ten hits, before going on to become a platinum selling solo artist in her own right. Alesha’s appearance on Strictly Come Dancing in 2007 led to her winning the series and becoming a judge for three seasons. Since then she has presented and hosted many TV shows including: CBBC dance show Alesha’s Street Dance Stars, Children In Need, Sport Relief, Your Face Sounds Familiar, and ITV’s Dance, Dance, Dance. She is a hugely popular judge on Britain’s Got Talent and has just been announced as the presenter of new BBC show, The Greatest Dancer. She has written two very popular children’s books – Lightning Girl (launched in April 2018) and Lightning Girl 2: Superhero Squad (September 2018) about 11-year-old Aurora Beam who finds out she has superhero powers! The laugh-out-loud high-voltage adventures have received rave reviews and the third instalment is set to be released in March 2019. Last year over 38,000 children entered the competition and previous prolific judges include David Walliams, Steve Backshall, Cressida Cowell, Lauren Child and Liz Pichon. Last year’s winner was eight year old, Mia Falatoori from London who impressed David Walliams with her story ‘The Mum with the Toxic Bum’ which you can read here. Throughout the next six months Explore Learning will be providing some top writing tips from their creative writing team, previous winners, judges and best-selling authors via their website, social media and face to face. They will also be hosting a collection of free downloadable information on their website that can be used at home or in the classroom as well as running free workshops with local libraries, schools and community groups to inspire children’s love of writing and support them with their entries. For more information visit www.explorelearning.co.uk/writersawards. Next Enter the bright ideas challenge today for your chance to win £5,000!